One of the best tools for a photographer is a good photo editor app. Adobe Lightroom is among the best. The mobile version has a lot of the same features as the desktop version. That includes support for RAW photos, the ability to easily revert back to the original if needed, and more. You can also send the files to your desktop version if needed. Most of the features in the app are free. However, you can get more features if you're an existing Adobe Creative Cloud subscriber. It's pretty good for serious photography. 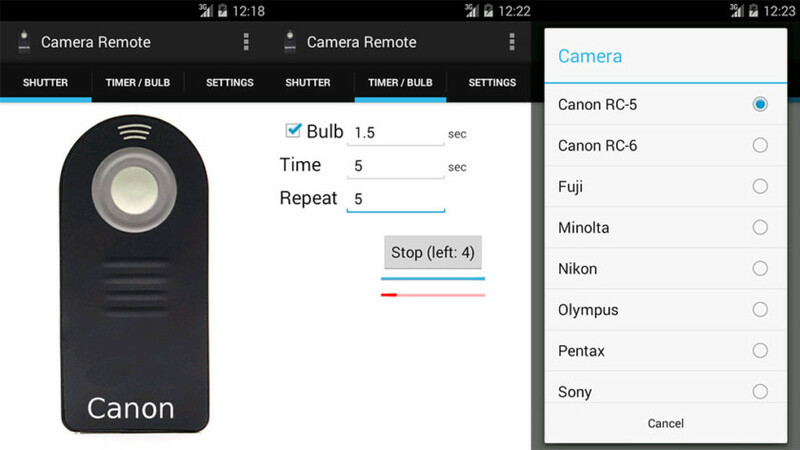 Camera Remote Control is another DSLR controller app. It only works with devices that have an IR blaster along with cameras that have IR sensors. It's a very basic little app. It comes with a shutter button as well as a timer. You can even set multiple timers in case you're using photography bulbs. All you need is the IR blaster on your phone and your camera. It's a convenient, simple solution for people who have those two things. It's also free to use. DSLR Controller is one of the better DSLR apps. It's only compatible with Canon EOS cameras. Chainfire made the app. He's a very prominent developer in the Android space. It has a wealth of features. You can connect through a USB cable or WiFi (if compatible). You can then do pretty much whatever you want. That includes using your phone as a shutter button, control your settings, and more. There is a free version you can try first to make sure your device is compatible. It's one of the good ones for Canon owners. Helicon Remote is an app for professionals. It's not necessarily better. However, it is really expensive. It boasts compatibility with most Nikon and Canon cameras although you may want to check the list out before buying anything. It has focus bracketing, WiFi support, burst shooting, video shooting, exposure bracketing, and time lapse shooting. The free version will show you if the app works with your camera. It works pretty well, it's just also among the most expensive DSLR apps. We're at the midway point. Here are some more app lists to check out! HyperFocal Pro is a reference guide for photographers. It shows you calculations to achieve the best focus. It'll show you the optimal ranges for focus depending on your subject, distance, camera, and glass. Additionally, it supports most cameras. It'll also show data for depth of field, angle of view, and field of view stats. The design is easy to read as well. The app is free with no in-app purchases and also no advertising. It's a good little app to have for most beginner and intermediate photographers. 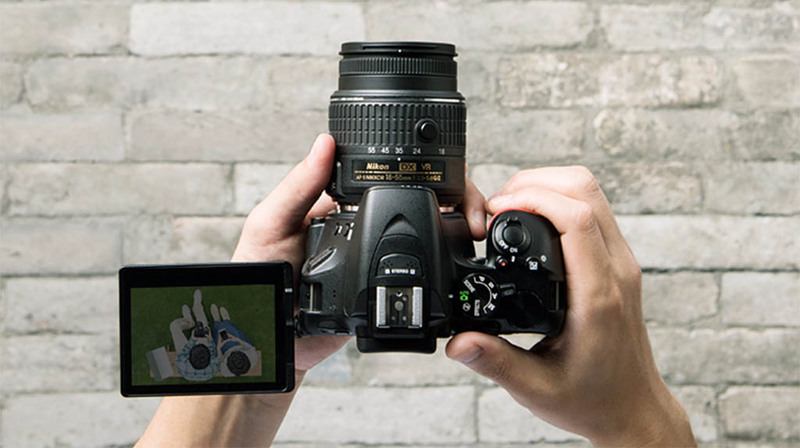 Magic Viewfinder is a family of DSLR apps. They don't connect to cameras or control them. Instead, they help you plan shoots and see how your camera would do. It emulates your camera and lens set up. Thus, you can do things like framing without having your actual gear on you. There is an app for several manufacturer brands, including Canon, Nikon, Lumix, Sony, and others. They are all free to download with inexpensive in-app purchases to unlock all of the features. They're not necessarily the most useful apps, but they can be helpful in some scenarios. Smart IR Remote is mostly for TVs and other home electronics. However, there are some cameras with IR receivers. There is an immediate caveat with this one. Your device needs an IR blaster on the phone or this remote app won't work at all. Otherwise, it should work with almost anything with an IR receiver, and that does include some DSLR cameras and camera remotes. There isn't an easy list to reference as to what cameras work with this one. We recommend downloading the free version of the app and see if it works with your camera. The pro version is rather expensive, but it's probably the best IR remote app on Google Play so, you know, you get what you pay for. Snapseed is a photo editor app by Google. It's a totally free photo editor app with a lot of desirable features. That includes support for RAW files. The app also has 29 other editing tools. All of them have sliders to change their intensity for finer control. It can also do the basic stuff like white balance, crop, and more. It isn't quite as powerful as something like Lightroom (desktop) or Photoshop, but this is probably as good as it gets on mobile. Most camera manufacturers have DSLR apps for their cameras. Canon, Sony, Nikon, Lumix, and others have official apps meant to be used with their specific cameras. These usually aren't the best apps. If they were, this list would be unnecessary and you wouldn't be here. They can offer basic functionality though, including shooting pictures, downloading images to your phone, and other simple stuff. The apps can be pretty decent depending on your needs. They are also generally free. We recommend trying your camera's official app (if it has one and it is compatible) before diving into the other ones, just in case.